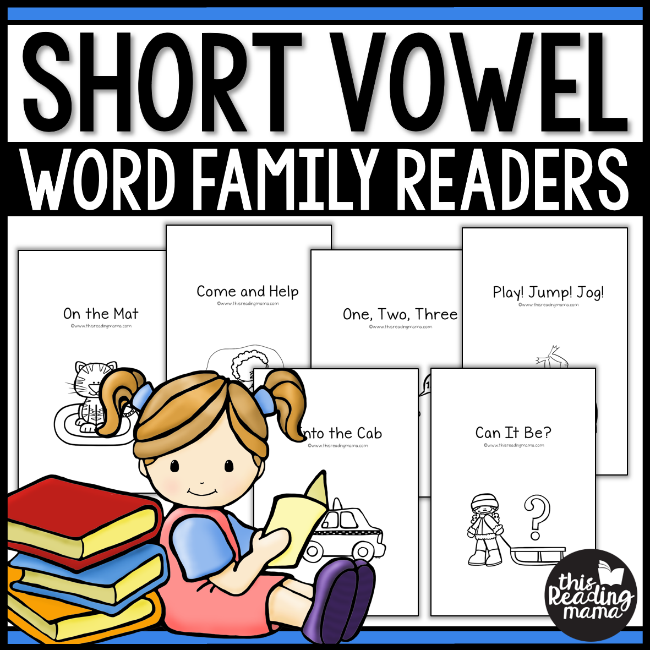 These short vowel word family phonics readers are a great way to practice CVC words, and beginning sight words, and fluency. All 24 readers are from my Learn to Read Curriculum are included in blackline only in this pack. I often am asked if I will bundle just the blackline phonics readers from Learn to Read and make them available for purchase. So, here they are! 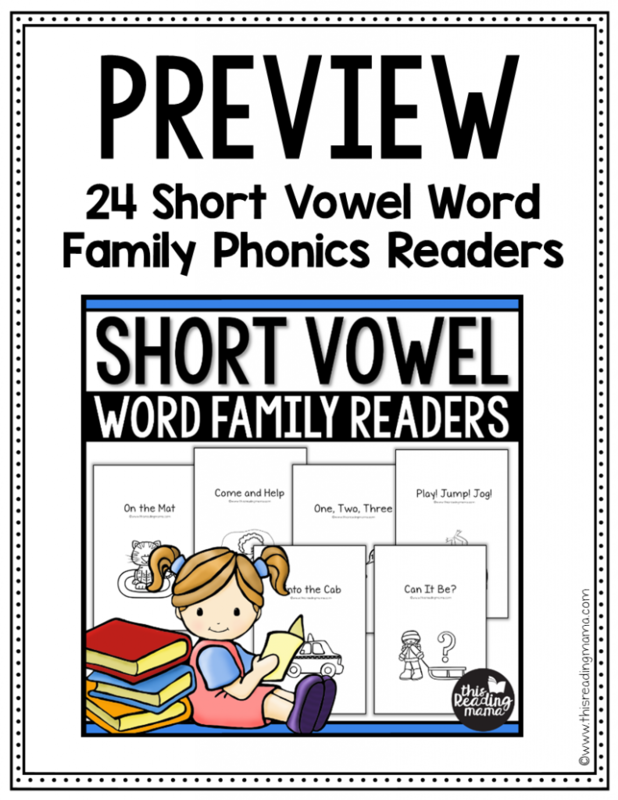 24 readers are included in this resources: four phonics readers for each short vowel and four short vowel review phonics readers. Click HERE or on the image above to see a preview of these phonics readers. 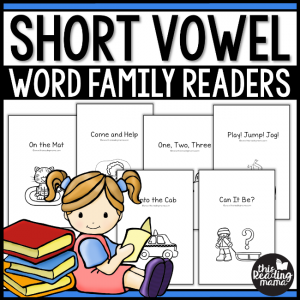 Not only do these books work on short vowel CVC word families, but they introduce 2 new sight words each. Review of these sight words is built in to each reader. The 48 sight words included are: all, away, are, be, but, came, come, did, do, find, funny, get, good, have, help, here, into, jump, like, make, must, new, no, now, on, one, out, play, ride, run, said, saw, she, so, they, there, this, three, too, two, was, went, what, where, who, will, with, & yes. 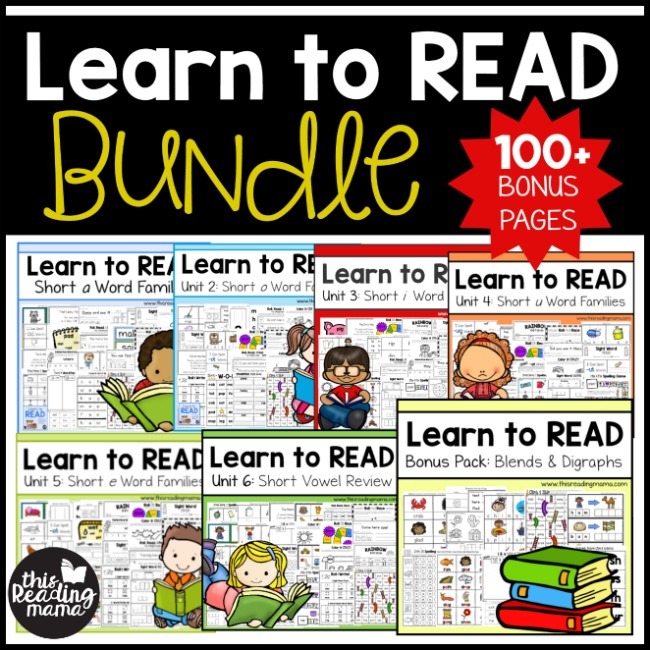 Want the entire Learn to Read Bundle? Click HERE or on the image above.